Ok, I admit it. I’ve been lazy about taking my own advice. I know that the best way to protect myself against identity theft and credit fraud is to freeze my credit. Especially after the massive Equifax breach last month, protecting ourselves is more important than ever. I’ve read countless news articles about it. I’ve told countless clients to do it. Our firm has put out at least a few pieces on the topic. Our financial planners Ashley and Marcie remind me regularly, but I haven’t done it myself. Why is that? Why haven’t I taken the steps to protect myself? It’s not that I’m concerned about having to unfreeze it if I need credit sometime. I’m at the point in my life where I don’t need more credit very often. No more credit cards in the foreseeable future, I don’t lease a car or have a car loan, and I don’t expect to need a new mortgage. 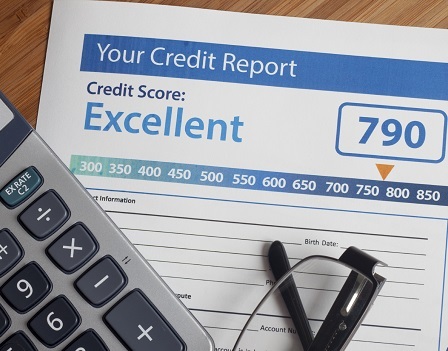 Even if I someday do need some type of credit, it surely won’t be more than about once a year, so the act of unfreezing and re-freezing shouldn’t be a big deal. After lots of self-reflection, the best I can come up with is that it just seems a little cumbersome to go through the process. Having to deal with three separate companies. Waiting on hold. Stories about people giving up after hitting a roadblock. And of course, more login credentials to remember. But tonight, I decided to take the plunge and see what the process is all about. My first bit of advice is: don’t call. Do it online; it’s really quite simple and only mildly annoying. If you’ve already frozen yours, congratulations, and you can stop reading now. If you’re like me and haven’t yet gotten around to it, here is a rundown of my experience with each credit bureau. Very easy process. Asks basic questions, such as name, address, social security number and date of birth. Also asks some unique multiple choice questions that only you would know, like when you took out an auto loan, who has (or has not) lived with you, and a recent phone number. And I got to pick my own PIN, which is nice. There’s a $10 charge, so you’ll have to supply a credit card number. The process took four minutes from start to finish. A little cumbersome, only because the website wouldn’t work at first. It inexplicably froze my browser. Four times. Once it did work (and I still don’t know why it finally did), the experience was similar to Experian. But in this case I had to also create a username and password for the website, and then choose a PIN. And a “secret question.” Oh, and the password has to be eight characters or more, including both letters and numbers. It would have been nice if they told me that up front, but at least now you know. This one is also $10 and took six minutes, not counting the frozen browser time. This one is like the others, in terms of the information you need to supply. The biggest difference is that they assign a ten-digit PIN, which you can only access by clicking a button that says “to view your one-time PDF, click here,” which is a little confusing. Clicking on that brings you to a poorly formatted confirmation page that displays your PIN. That’s the only way to find out what your PIN is. But at least this one is free, which seems like the least Equifax can do. Total time for this one was four minutes. So the whole thing took about fifteen minutes and cost me $20. (Updated 3/6/2018 – Equifax is not currently charging for this service.) Tomorrow, I’ll sit down with my wife Laurie and get her to go through the process. Since I’m now an expert, I can probably get it down to 12 minutes. Then I’ll see if I can get my sons (ages 24 and 21) to spend the time to do the same. At the end of the day, I have to confess that, while it wasn’t as simple as it could be, it wasn’t bad at all. I finally did it – and so should you. This is not an endorsement of service providers and we assume no responsibility for any information, advice or services provided. This article contains general information that is not suitable for everyone. The information contained herein should not be constructed as personalized investment advice. Reading or utilizing this information does not create an advisory relationship. An advisory relationship can be established only after the following two events have been completed (1) our thorough review with you of all the relevant facts pertaining to a potential engagement; and (2) the execution of a Client Advisory Agreement. There is no guarantee that the views and opinions expressed in this article will come to pass. Strategic Wealth Partners (‘SWP’) is an SEC registered investment advisor with its principal place of business in the State of Illinois. The brochure is limited to the dissemination of general information pertaining to its investment advisory services, views on the market, and investment philosophy. Any subsequent, direct communication by SWP with a prospective client shall be conducted by a representative that is either registered or qualifies for an exemption or exclusion from registration in the state where the prospective client resides. For information pertaining to the registration status of SWP, please contact SWP or refer to the Investment Advisor Public Disclosure website (http://www.adviserinfo.sec.gov). For additional information about SWP, including fees and services, send for our disclosure brochure as set forth on Form ADV from SWP using the contact information herein. Please read the disclosure brochure carefully before you invest or send money (http://www.stratwealth.com/disclosure-statement).